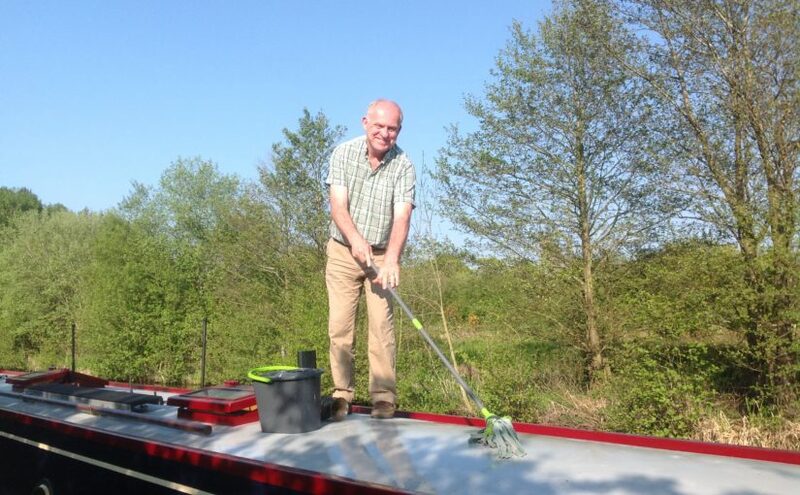 Narrowboat design is evolving to take into account modern technologies. We’ve tried to incorporate a lot of the benefits behind the facia of Firecrest. 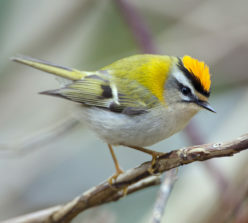 We’ve chosen to embrace the environment, making Firecrest, albeit a very beautiful one, a means to an end, our comfortable home from home that maximises our ability to explore and enjoy our surroundings. We’re reading that more and more boaters are pushing the boundaries of how much you can fit into a long metal box. We’re loving the interest shown in our boat, and likewise how interested we are in the more traditional. Firecrest’s features aren’t unique, just not as traditional as a lot of modern boats. 1) Instead of a diesel engine we have an electric motor for propulsion, giving us totally silent cruising. 2) We are a gasless boat, so don’t use bottles of LPG for cooking as is usual, instead we have an electric oven, an electric induction hob, use an electric kettle, and an electric toaster. These are all powered from the batteries so we can use them any time day or night without running the generator and disturbing the neighbours. 3) With my background in electronics and computer control, we have a modern computerised CANbus wiring system so all our lights, water pumps etc., are powered and controlled by a system much the same as is in all modern cars, lorries, coaches, and many commercial boats. This gives me a lot of flexibility how things work, greatly simplifies the wiring, and reduces the amount of wire needed too. 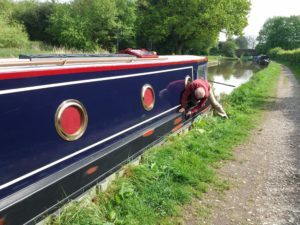 4) Instead of the normal deck at the bow that is above the canal water level, ours is below the water level, a dropped well deck, at the same level as the rest of the interior of the boat. Instead of the canvas cover (a cratch cover) we have extended the steel roof over the bow deck to make it an indoor sitting area, with headroom to stand up, and overhead lighting. We have cratch sides that can open up, or be removed completely allowing us to have fresh cool air, but also shelter from wind. 5) Since we don’t get “free” hot water every time the engine runs, we have a modern high efficiency diesel boiler for our central heating and hot water, more like the ones found in homes with oil heating than the typical boilers used on narrowboats. This means we have hot water all the time, Cheryl can wash up as many dishes as she likes and take as long in the shower as she wants. 6) We’ve opted to have a waterless Eco toilet, (composting toilet.) which are becoming a more and more popular choice for boaters. One of the biggest benefits is because we don’t flush, we don’t have to fill up the water tank so often. And no, it doesn’t smell. 7) Our battery charging system is also computerised, and nothing like the usual alternator run from the propulsion engine. This I have had to write the software for. 8) Our batteries are LiFePO4 (a type of Lithium battery that is much safer than the ones used in phones and laptops). These have very different characteristics to the usual leisure Lead Acid batteries making them ideal for our boat. These are charged from an onboard GenSet or shore power when available. These need electronics and software management which I have also designed and built myself. Lots of people seem interested in our electric propulsion and how we charge our batteries so I will add some “techie” posts in the future to describe that in some detail, and how we find it works in practise. For all of Firecrest’s individuality, she still requires polishing and painting to keep her looking good.